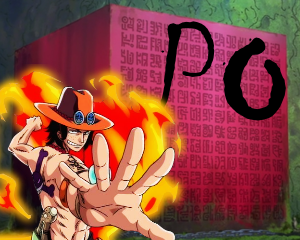 how is Wano Arc so far? the argument could be made that Big Mom used the advanced flamed CoA combined with soul powers to drain Luffy's energy when blocking Kong Gun with her arm. But Kaido took a lot of beating in his dragon form from G3 Luffy, reverted to human form, got several more beatings from Boundman G4 Luffy and wasn't able to use CoA to defend, got up casually, brushed off the attacks, and destroyed Luffy in one hit. So this means Luffy's stamina and endurance is better than the Top Commanders but worse than Admirals/Yonkos. and that's where it gets interesting. because from the story perspective, the reason why Luffy vs Top Commanders took so long is Luffy has better stamina and endurance. But vs the Yonkos, it's the Yonkos who have better stamina and endurance than Luffy! how do you react to Kaido destroying Luffy from a story perspective? I mean now Wano Arc made it look weird with Kaido one-shotting Luffy like that. The whole point of Luffy vs Sweet Commander fights was to show Luffy has strong endurance and stamina, and this was already setup in Impel Down/Marineford Arc. Yet he challenges Kaido to a battle and loses after getting hit only once? what about Zou and WCI Arcs? how would you rate Dressrosa? 03:49 PM - Going Merry tagged Super Croc in thread Should I leave? Should I stay? Should I come back another day? 08:51 PM - Loni tagged Super Croc in thread OPD5: IT IS HAPPENING! - Sign Up Thread. 08:06 AM - Loni tagged Super Croc in thread One Piece Trivia Event! 07:06 AM - Kikyo tagged Super Croc in thread OPB Twitch Channel?